Need tires for your ride? We are the tire experts. Stop in for great deals on tires from top brands like General, Continental, and Fuzion. We give you the area’s best deals on tires. If we don’t have, we’ll get it at GT Tire & Service Center. 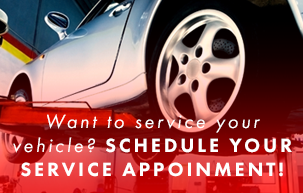 Since 1978, we’ve been the place to call for quality auto repairs in GT Tire & Service Center. Owner Gene Thielman and his staff work hard to get you rolling again. You’ll find us at 155 Colony St, in Meriden, CT. We’re close to Wallingford, CT, and Cheshire, CT, too. Visit us Monday-Thursday from 6:30 a.m.-5:30 p.m. And Fridays from 6:30 a.m.-4:00 p.m we are now open on Saturdays from 7:00 a.m - 12:00 p.m. Give us a call now at (203) 235-8606 to schedule your appointment. We treat you like family at GT Tire & Service Center, better than they do at those chain stores. Bring your vehicle to us for all of your auto repair needs, from brake repairs and preventive maintenance, wheel alignments, electrical repairs, axle, CV joint, and driveshaft repairs and diagnostics. Our technicians truly do it all.